My one year old daughter Charlotte is raising money for her pageant fundraiser. This organization…Relay for Life/The American Cancer Society…is very dear to our hearts as we have had many family & friends effected by this terrible disease. This Pageant & Fundraiser we are doing in memory of my father…John Thacker…who passed if cancer at the young age of 35. I was 2 years old. It was my first experience with the devastating effects of this disease. 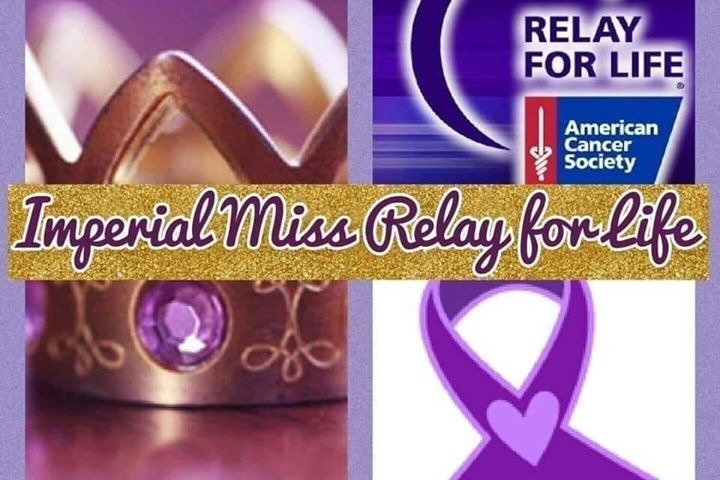 We would like to invite you to participate in Charlotte’s fundraiser for her Imperial Miss Relay for Life pageant next weekend…March 3rd. All proceeds of the pageant and fundraising will go directly to Relay for Life to help fight cancer and help cancer patients. This cause is very dear to us as we have many family members & friends who have struggled & fought this terrible disease. This pageant is dedicated to those loved ones! Please help us spread the word & help Charlotte raise money for this wonderful organization. Charlotte Taylor will be rockin her PURPLE!